An excellent product or service best serves all the people who interact with it. The majority of these people may be customers, but other stakeholders may include business owners, employees, investors, partner organizations, suppliers and a particular community. When you list all of your product’s stakeholders and map out the interplay between the groups you discover pain points which can lead you to explore new opportunities. How does stakeholder mapping work? Identify all stakeholders. Brands are often not aware of some of their stakeholders or forget to mention them when asked. A fair amount of research may be necessary to compile a complete list. Once the stakeholders have been identified, the motivations and interests of each group must be clarified. Why did customers choose to try your product? What solution do they need it to provide? Why are investors funding your product? What is their desired ROI? Why did the development team create this product? What is it hoping to achieve? Map out how the groups are related to each other and how they interact with one another. 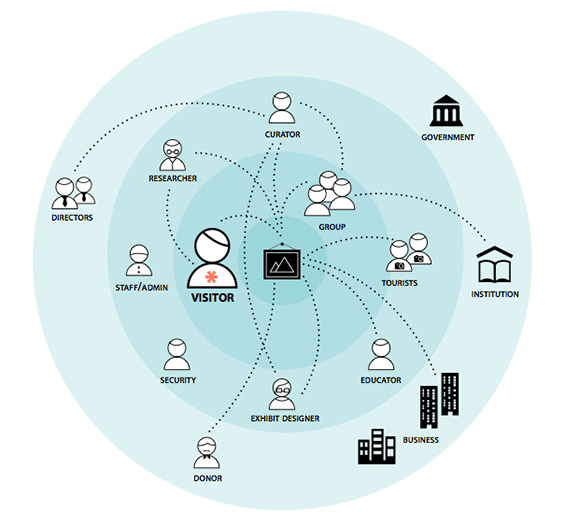 This is the point at which to use visual representations to construct an easily digestible overview of the stakeholder ecosystem. Pay special attention to where interactions are not going smoothly, such as investors who are at loggerheads with business owners or customers who are dissatisfied with product support. Communication breakdowns and motivations which are not equaling performance should be clearly delineated. Analyzeyourstakeholdersmap. Groupvariousstakeholderstogetheraccordingtoshareinteresttoseewhichinterests aremost crucialandthink abouthowtheycanbesatisfied.Focus onshareholdersyoupreviouslyignoredandreconsiderhowtheir issuesreflect onthe perceptionofyourproduct. Rateshareholdersaccordingto importanceand placetheir pain pointsatthe topofyourlistofnecessaryimprovements. Now that you have a stakeholder map which clearly shows which problems need to be solved, use design thinking strategies to turn these issues into opportunities for innovation. Consider whether the product itself needs a redesign or whether there are issues in customer service, pricing, marketing etc. which can be transformed in order to increase the product’s success. Use the stakeholders map to inform decision down the line too. But don’t keep using the same map forever; internal and external changes require a new map every two years. Triode has a couple of examples of stakeholder mapping. If you want a copy, please contact us! ← How Design Thinking and Customer Journey are related?